This is a great product, but I have equally good hand creams from l'Occitane, Elemis, Clarins and even Lush. Neither of these worked for my skin. The Gel-Cream in particular made my skin a little dry. Although I sometimes still switch to using this in summer-time, this can be a little light for my skin. This was fine for use as a cleanser, but I like to use a cleanser that doubles as a makeup remover for evening use, and this doesn't really do both, whereas either of my Elemis cleansers do the trick. I used this once, and the smell of fennel made me feel ill, so I gave it away to a friend. I don't know what she thought of it. Both of these are amazing, but for my skin, I find that the Infusions used as in place of a serum, underneath the Crème, are sufficient. This is a rather expensive body exfoliator which certainly does what it is supposed to do, but I personally prefer the smell of my Clarins one. This was far too rich for my eye area; it was contributing to millia in my eye area. I gave it to my mother who loved it and thought it was amazing. This is a nice toner. There are equally good toners out there which don't cost an arm and a leg however. My current favourite is the Elemis Apricot toner. This is a totally amazing product, it is expensive for a lip balm, but it lasts forever and will completely get rid of any dryness in your lips. I use these in place of a serum (the former in the morning and the latter in the evening); I don't find I need the "weight" of a serum, just yet. This was just called The Eye Balm beforehand; I find this great for keeping under-eye wrinkles at bay. It's a wonderful product if you're trying, as I was, to heal surgery scars; it works amazingly well for this purpose (I've used Bio Oil and found it made zero difference to scars). I used it daily over a reasonably large area and each bottle lasted me approximately six months. This is a brilliant body moisturiser but there are other good body creams out there; I used it together with The Concentrate to help reduce scars. For years I used this exclusively as my morning foaming cleanser in the shower, now I alternate between this and a Natura Bisse AHA foaming gel cleanser. Of these, I would like to try the THE SPF 30 PROTECTING FLUID when my current SPF runs out. But as most of the rest of the items on this list wouldn't necessarily work with my skin type, I am not too interested in trying them just yet. I have also swatched THE RADIANT CONCEALER in-store and wasn't particularly interested in the colours on offer. The FLUID TINT looks nice but is a little more sheer than I personally like as a foundation option. CDLM is an expensive range, and to be honest I won't necessarily replace some of the items as I use them up. Similarly, there's absolutely no substitute for some CDLM products; THE CONCENTRATE is out on its own (it had want to be, it's extremely expensive) for reducing scars, stretch marks, helping blemishes heal, etc... but then again, that's what it was designed for in the first instance. THE CRÈME and THE EYE BALM remain the best I've ever used. My skin is luminous and my under-eye wrinkles have been, up until now, non-existent, especially in comparison with my peers. THE CRÈME, while being an expensive outlay, actually works out less expensive than most of the other creams I was using up to then (mainly Clarins up until that point), especially if you buy a larger tub. 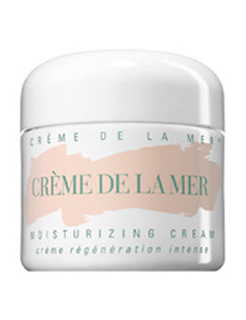 The trick with THE CRÈME is to use it properly; using a tiny amount of it, warm it up and press it into your skin - if you do that, then it works out for both your skin and your wallet. For reference, one 100ml jar*** of THE CRÈME and one 10ml jar of THE EYE BALM lasts me approximately twelve months.